Sadly, there is no single solution that will get you the results you are wishing for, which is why SEO has evolved to more than just link building and on-page optimization. Are BNI Network’s worth the time and effort? This is one of those big YES -- and maybe “no” answers. There is nothing better than a steady flow of referrals. Referral Marketing is the best, and I love teaching how to create a referral engine. But all is lost when you join a network group such as BNI and you don’t have a clear and concise message. Some people may call that the elevator pitch. I call it your brand message or tagline. It’s the short version of how you -- specifically-- can help someone. One doctor I consult with took the place of a previous practitioner (in this case a Naturopathic doctor) at a morning BNI group. As the one on one presentations proceeded, Dr M explained concisely what she specialized in... Hormone Balancing, Diabetes and Weight Loss. (She is a 90 Days to Practice Transformation member and has her branding down). So…do you balance hormones? Do you practice primary care pediatrics? Are you a specialist at IBS? Unless you focus the prospective referrer, they will have no idea how they might recommend you. Write down your elevator pitch and rehearse it. Yes, say aloud, it to yourself, in the mirror. You can even make a little You Tube video of your speech. Think of the questions referrers might ask. Have a list of other doctors at your fingertips that you might refer to. This is important for BNI and networking conversations in general. BNI’s can be a powerful source of referrals. Without the proper focus, however, they are a monumental waste of time. Never Profile Your Patient’s Pocketbook! Ok, well, this principle bears repeating. So, here I go again, this time with a vivid illustration. Dr M had a patient who looked like she was homeless. Her clothes were rough and worn. She always cycled to the office. Dr M assumed that she did not even own a car. After a few months of trying several low impact, or simple, in other words “not costly” solutions, the patient called complaining of chest pains and shortness of breath. Dr M is not a heart specialist and so, of course, urged the patient to see a specialist right away. One month later the patient returns carrying a shopping bag almost overflowing with supplements, easily $1000 worth. She begins to chat about her visit to a high profile clinic known for its concierge “full on packages” that start at $2500. PLUS testing. Finally, she had found someone who was going to get to the bottom of her health issues. Dr M had not even discussed testing or a comprehensive supplement program, because she assumed the patient would be unable to afford it. DO NOT PROFILE your patient’s pocketbook. Prescribe what is needed. September is Back to School Time! Time to Sharpen our Goals. So are you thinking about a Business Coach? Some of my thoughts. Dr. Andrew Brandeis - "Why doctors use Share Practice"
The best way to learn is to teach. Doctors use SharePractice to structure and share their knowledge with their colleagues, peers and residents. SharePractice doctors have access to the first integrative clinical reference created by doctors for use at the point of care. Early adopters get recognition and meaningful feedback from the community as their protocols and pearls are shared and used throughout the world. Google has decided that even though your patients and prospective patients have opted in and signed up to receive your emails, your emails and newsletters will now most likely show up in the PROMOTIONS tab along with unsolicited junk and ads. Now? Maybe not so much so! My Focus, Your Focus, how do we create our practice Focus? Finding or creating your practice focus . . . . Of the many vital strategies and techniques I teach in 90 Days to Practice Transformation, this has to be key. 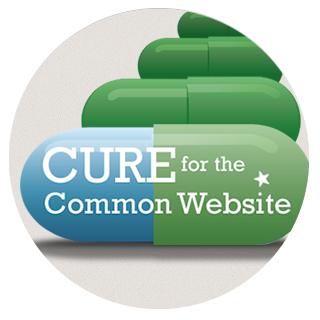 It is also a key part of my new program, Cure for the Common Website. I was reflecting on this one day, when I had the thought, “It’s easy to teach someone else “how to,” but what about me? Am I like the proverbial shoemaker whose children go bare foot? Plus, I thought you might enjoy seeing how this process works, by challenging -- and inspiring -- us to think about ourselves, what we do and how to speak to our clients! So what is the Focus of Success Bootcamp Rx you ask? Well, recently, I sat down with this very question when I began a thorough and detailed overhaul of my own website redesign and process. From this process 3 ideas emerged. I consistently teach/preach that you need to speak to the public with 3 thoughts. First, Educate. Yes, that’s what I do. SBRX educates doctors about marketing, technology and practice management. Next, Engage. Together, we are creating communities of practitioners sharing ideas and experiences. Our LinkedIN Groups are really a fantastic resource for members to share best practices. And finally . . . Hmmm -- what’s my third focus? (I would love the alliteration of another E to make the trio musical and more memorable.
. . . 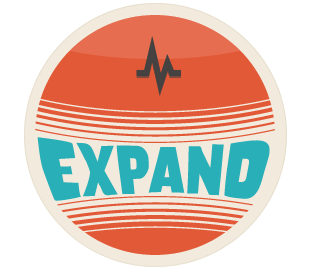 Finally, Expand. Building on the 3 Big Es! Just Right -- or Too Much? So, foundation in place, the next question is: How does SBRX work? First, I provide free webinars to doctors. Some of these are conducted by your peers who are in the process of transforming their practices. Second, I regularly consult one on one with practitioners to get them up to speed FAST. And third, SBRX provides Cost Effective Group Seminars for practitioners to learn the basics AND the fine points of marketing. Whew: is that a lot? Just right -- or too much? Well, when I step back, I gotta say, that’s my focus -- and I am sticking to it! Getting back to You . . . when you look at your focus, realize that narrowing your offerings to three still leaves you with plenty of room to talk about crucial aspects of your brand practice. As you saw, it is still a LOT of Focus. A lot!! So, tell me, what are your three areas of practice focus? An interesting thing happened recently. An interesting "failure". Now if you know me at all - I don't typically find "failure" interesting... especially when it is on my part! Here's the thing - I love to lecture. When I was in 7th grade I dreamed of one thing for the rest of my public school education career - and that was to become the President of the Speech and Debate Team. I wanted to take my desire to encourage and inspire my friends and classmates to find their voice, speak their creativity, "argue" their perspective and walk through life ever-after with the communication skills that would open doors to their dreams. As you can imagine, when I lecture/speak - it is a thing of joy to me. Like singing in the shower, dancing, snow boarding, or feeling in my chest the most powerful stock cars in the world all rev their engines at the same time as they go by together on that first green flag lap in an auto race as I watch from the roof of the stands. Joy. Being a perfectionist (for the good and the bad of it) and loving to lecture so much - I can honestly say that I could show up at 100 events in a row - be they to the lay public in my front office, to a television station or to a group of my international colleagues across the pond - and 100 times every aspect of that speaking engagement would go as I had hoped, or better. At first I had that not very good feeling in my stomach that comes from disappointing myself. But then I stepped back to view the forest for the trees and to allow myself to consider where my gifts were in this situation. I believe that if you are open to them - they are always there in any situation. And there it was... as plain as day, the gentle, loving, encouraging vote of confidence from the universe that has never failed to have my back and help me on to each next place on my path. I tried to argue with it at first, but that only made that not so great feeling in my stomach feel stronger. I tried this notion on for awhile. I talked it over with a trusted confidante. Look at that - not only did my stomach start to feel right, my heart and head followed suit. And there was the truth. My new truth with regard to this part of my life that I had always done, that I knew was just right for me but that was suddenly changing. This "failure" was my opportunity to think and feel through a decision that I have made, for years, on auto-pilot. This is important because my path is in transition right now and listening is likely the most important "action" step I can take these days, accordingly. You see, there are (annoyingly enough) only 7 days in each week and 24 hours in each precious day. My dreams exceed that count, by a mile and these days - my ability to manifest those dreams do too. Right now, what I leave out is as important as what I include - in the name of balance, health, love, my family and in the name of giving a more whole self to the work that I am supposed to be doing right now. It is all changing right now and I guess I just forgot to look fresh at the things I choose to put on my schedule. This "failure" really made me stop in my tracks and ask "why did that happen?" It gifted me the opportunity to listen - and to update my priorities - match my action choices with my stated intention and to maintain congruency through this transition/growth period on my professional path. Listen through the Transition - is the most powerful action you will take! They say that in your practice you should establish and maintain consistency in the way that “everyday” administrative and logistical matters are handled, delivered and experienced. I know that part of my “secret to success” is that I am clear, to the point and I make a point. My patients know why we are doing the work we are doing (Naturopathic Principle: Doctor as Teacher – very dear to my core values) and my directions to them are crystal clear and organized. It has great meaning for those that engage in my care. And many patients have told me this directly, having had other less-clear and less-satisfying experiences in their quest for natural health care in the past. So… no one leaves my office wondering what they should do, why, or how. Ever. This is the powerful first step to their getting what they came for, which means everything to me… which, is “better”. They want to get better. But lets talk more on the management of the practice - which in my world, honestly, could use an overhaul. You see, when I come across a practice that does this right (unless it is a chain) it is rare... but I feel it... I sense it... I LOVE it... there is a consistency to their ways. And that just makes me feel good about working with their practice. Every little thing. You can count on it to be that way. You don't get offered a cup of tea one day and left thirsty the next. There is always tea. It is like that. Small businesses (and lets face it – if you are in practice, you are a small business) well, this isn’t our strong point. I am committed to improving this going forward in my practice. I think it is one of those little things that is a pain in the back side to set up, and you forget to set it up because you don't see the forest for the trees. You are obsessed with your actual medicine, you are way outside of your comfort zone (healing) to get the business up and keep it going (business) and this little thing seems like something that doesn’t really matter... but it does matter. It is a BIG deal for the way people feel about working with you and your business and seriously... at the end of the day, I have learned... that yes my good work and my results are essential to my success... but that is only part of the story… the way people FEEL about me and working with me and my practice is the other half and that half is HUGE. People that have trusted me with their care have made it very clear that they feel good about me and my two assistants... because we are good... we are present, we fully commit to delivering, we really sincerely care and we are just good people that are helpful by nature... but then there is the rest... the office space, the consistency in what they can expect with each interaction... I have come a long way on the office space and it even makes me feel good to be in that space. My patients have made many comments about how they love how it feels to be in our space… and still our practice might be in Kindergarten with the rest. What we mostly do is "the best we can and the nicest we can think of and muster that day" and that isn't good enough. We need to make a plan about how we want people to experience each interaction and then follow that "protocol" so to speak. Easier said than done but I am going to commit myself to it. 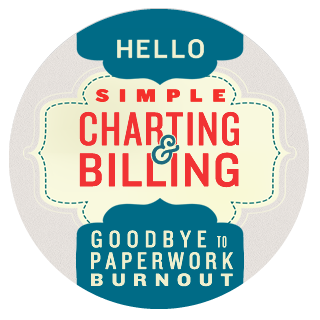 What administrative and logistical areas of your practice could use a fresh-look and a “protocol” for consistency? Recently I had a chance to feature my medicine to an audience (once again) and I chose to make a conscious effort to "put my fire first". It was my little experiment on "attraction." Of less concern, this time, I decided - was my hair, my posture and the perfect choice and flow of words. (This was like putting crack down... I love these things, most especially the perfect choice and flow of words). What I traded up for, was the fire that I feel when I tell the exciting story of my medicine topics. I decided to let that run free! Accordingly I was more animated and my face lit up with a much bigger smile than this usually stoic German face carries. Result: DOUBLE the response. I attracted DOUBLE the usual response. Interesting. Lovely. And... so FABULOUS to know that NO amount of professional marketing perfection beats my own authentic enthusiasm and passion for my work. Still confused? Create more posts directly on LinkedIn is the bottom line. It's a really great way to connect with your target audience of high demographic prospective patients! Healthcare needs a new model for evaluating clinical efficacy based on aggregated clinical expertise over a social network. Care Practice hacked an alpha version of an app designed like Epocrates that functions like Yelp, where doctors author treatments for specific conditions and other doctors agree/disagree with those therapeutics. The results have amazed us. In just a week, it grew out of Care Practice to 50 doctors who added more than 300 new treatments. It’s very simple, very powerful and built in a format that makes sense to a clinical practice. We are so pleased to annouce our strategic partnership with Tye Smith and the entire Natural Partners Family. What a fantastic group of people to work with! If you were part of our 1st 90 Days for Practice Transformation – The Clinical Study call you learned the importance of the calendar and mapping out your year. I promised to find a good resource for “coming events”. I absolutely positively found the most incredible calendar resource EVER. Did you know that January is Be Kind to Food Servers Month? And on a serious note, April is Emotional Overeating Awareness Month? Back to fun stuff- June is Accordion Awareness Month, Natl! !